We attentively tend your beds and borders. We weed, deadhead, turn the soil, edge and trough. We prune shrubs and ornamental trees, eliminate path weeds, stake, support and protect your plants. We rake, remove debris, fertilize, water, turn and deadhead your containers, fill your birdbaths and fountains. We sweep, tidy, blow out and waterjet. Beds are fertilized monthly and containers bi-weekly. Insects, pests and diseases are treated organically every visit. 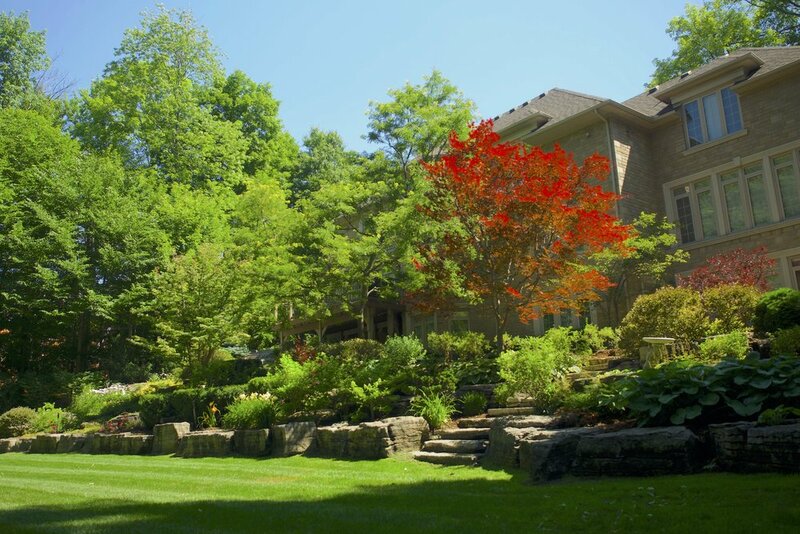 Each team of three has a certified horticulturist, an experienced team leader and gardener. We work effectively and quickly; priding ourselves on a high level of service. 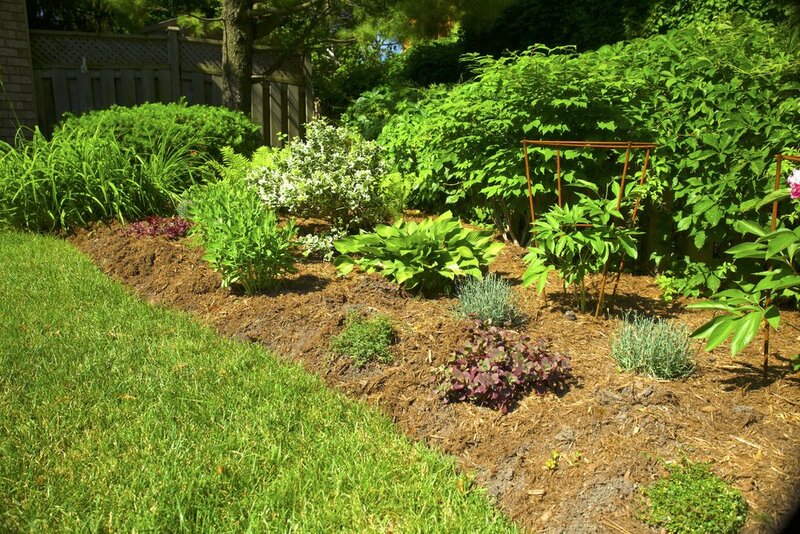 We have polite, well-trained, uniformed, experienced, reliable Horticulturists and Gardeners who are safety-trained, liability-insured and WSIB compliant. We are members of Landscape Ontario and the Canadian Nursery Landscape Association. 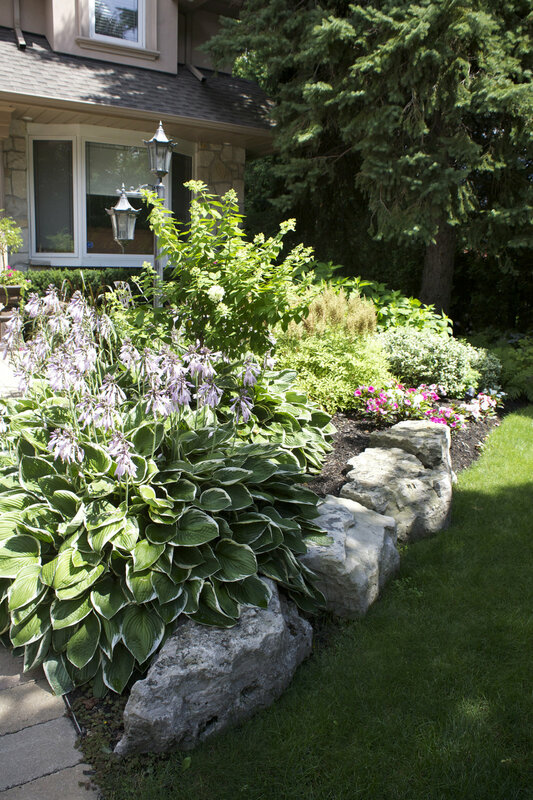 We usually assess your garden by doing an initial clean up. This allows us to accurately determine how long it will take for each subsequent session. We provide the tools, vehicles, treatments, high bloom fertilizers and waste bags that can remain outside for thirty days without falling apart. Our season starts the first week of April and ends no later than mid-November; after final leaf drop. Weather dependent, we do our best to ensure you get the same time slot each visit often timed for city waste removal. Waste can be removed completely from your site for an additional charge. Through the seven month season, we offer weekly, bi-weekly or monthly services, with varying fees associated at each level. Call our studio for more details on pricing. These seven month services include a free evaluation of your garden by mid-June offering suggestions to improve the site, succession of bloom and fullness. Please note that our rates are lower than the suggested rates set by Landscape Ontario. The quantities used vary by site so treatments, waste bags and fertilizers are charged separately. Payment is by Visa or Master Card on the day the service is delivered or by monthly pre-paid post-dated cheques. A significant discount is available for full season pre-payment. I’d like to thank you and your team for all your help with the flowers. I really enjoyed the experience from our initial consultation to the wedding posse. Much was learned in the process and the end product was a thing of beauty. The tables looked gorgeous with the centerpieces and the tulips really popped! Just wanted to let you know that your team(s) are doing a wonderful job on our property. They are careful and meticulous and very polite, pleasant young people. Thanks for everything. Use the left and right arrows below to navigate through our gallery.